Opt for nothing less than pure rest. 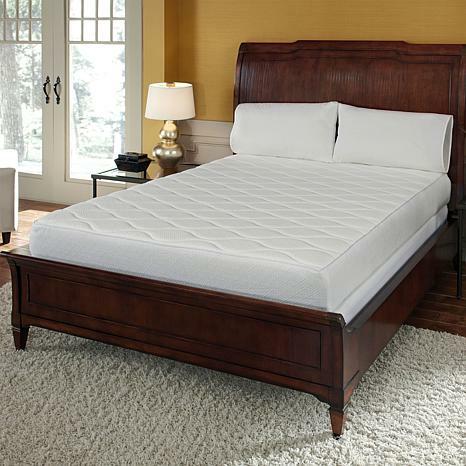 With three layers of memory foam and a soft, breathable quilted knit cover, this mattress offers the ultimate in comfort. Offering personalized support where you need it most, you'll love the cool, easy way this bed molds to you at the end of each day. This is the most comfortable mattress ever! 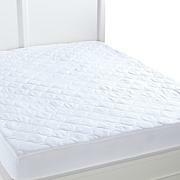 Have had it over a month now and have wonderful restful sleep. It is both plush and comfortable yet is firm enough to hold it's shape. The covering is comfortable quilting and never gets too hot at night even during the summer as it has been since I 've had it. Would highly recommend this great value. About 4 years ago, I bought this mattress in a Twin size to see if I liked memory foam & YES I do... So now I'm very happy to announce that this Full size is Every bit as Comfy as I had Hoped for. No more aches & pains, just 7-9 hours of restful sleep. 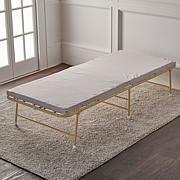 Thanks HSN & Concierge Collection... Great Product. The mattress came rolled up and I thought no way would it expand to 10", but Concierge Collection proved my long. The memory foam is absolutely supportive and plush. I haven't slept this well in years! I wake without hurting my back and body aches are gone! Best money I ever spent!